In 2003, I decided to take a drive and see the beautiful small town of Hebron, New York, which I had heard a lot about. 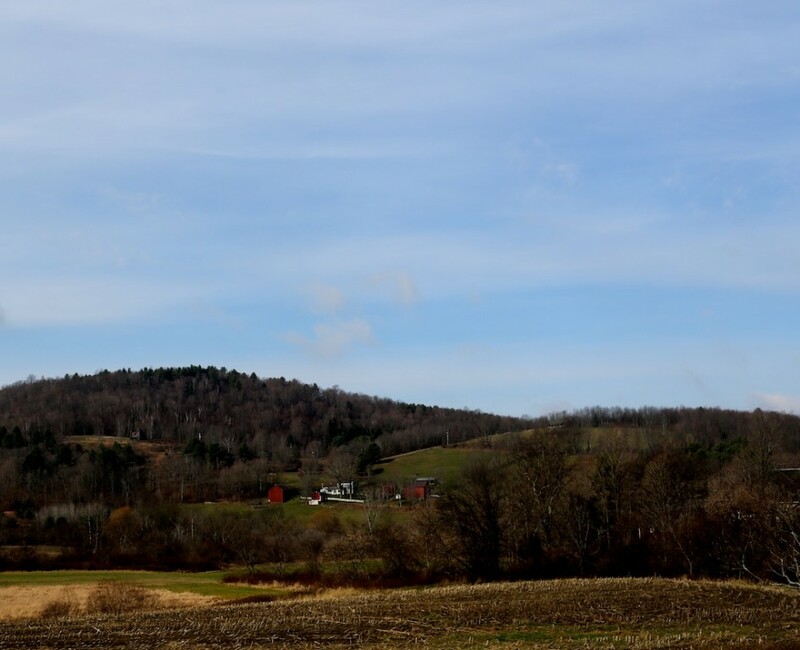 As I came into town, I looked up on this hill and I saw this beautiful old farmhouse nestled on the side of the hill, several big old barns surrounding it. Even from the road, I could see that the barns and house needed work. But I was enchanted by the place, fell in love with it. I pulled the car over into this same spot where I took the photo today – Red and I went to the farm to pick some things up – and I called a local realtor. I said I wanted to buy the farm. She said the farm was not for sale, so I turned around and headed back to my cabin in Jackson Township. Several weeks later, when I was back in New Jersey, the realtor called me up and she said, “hey guess what, your dream farm is on the market.” I made an offer over the phone. “Don’t you want to see it first?,” she said, incredulous. No, I said, I’ll see it soon enough. I want to live there. I want to write there. So I did buy it, and I see now that this is no longer the way most people buy homes, if any other than me ever did. It is risky to follow one’s heart and few people are encouraged to do it. Yet that impulsive, even reckless move led to some of the most wonderful things in my life – seven books, Maria, the dogs and animals I have had. Even since 2003, the world has changed. But when I saw Rocky in his pasture, and met Florence in her house, and Maria and I looked through the windows, our hearts called to both of us, and when the heart calls, we followed. We bought the house, problems and all. I can’t say this is what anybody else should do, but I hope it is what I always will do.